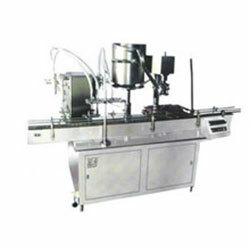 We are the leading Pharmaceutical Packaging Machine Manufacturer of India. These machineries include high quality Liquid Packing Machine and Powder Packing Machine. We are also the top supplier of Tablet Packing Machine in India as well as Exporter of Pouch Packing Machine. 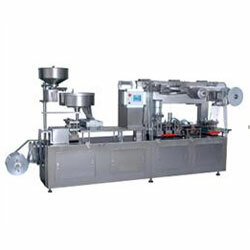 These machineries are excellent for packaging all kinds of powder medicine, liquid syrups and tablets etc. These are cost effective and provide hygienic packaging with negligible wastage. These are power-efficient as well as convenient to operate & maintain. They perform operations in high speed with outstanding output. They carry out packaging functionality with such efficiency that proper sealing of the medicines are assured. Hence there is no environment harm to the medicinal qualities of the medicines. We manufacture our high performance Packing Machine for Pharmaceuticalapplications from quality checked raw material employing latest technology in compliance to the international standards of quality. They are quality tested and confirmed for their flawlessness before supplying to the clients. We offer them at market leading price rates.